One fits in a car (well, most vehicles anyway) and another easily slides into a small daypack; which antenna is best for DXing on-the-go? The ALA1530LNP and Boni Whip are at opposite ends of the portability scale (as well as the price scale). 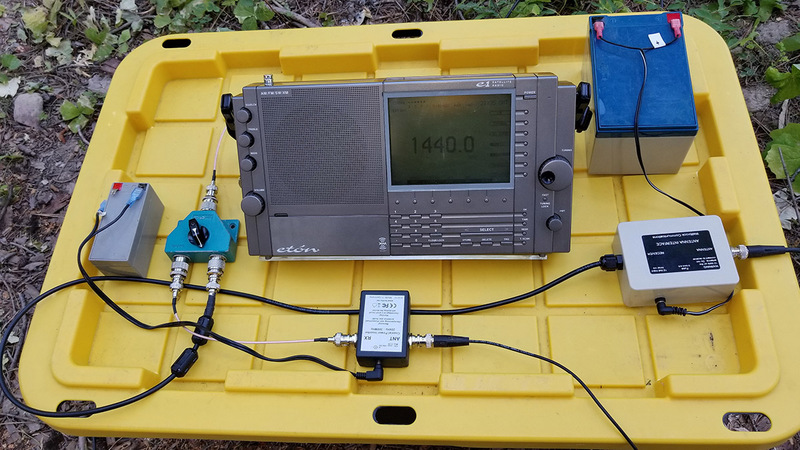 I’ve written about the ALA1530LNP in the pages of the SWLing Post before, where I compared it against another Wellbrook loop antenna on extremely weak medium wave signals. The ALA1530LNP currently costs $413 USD including shipping to the Seattle USA area where I live. 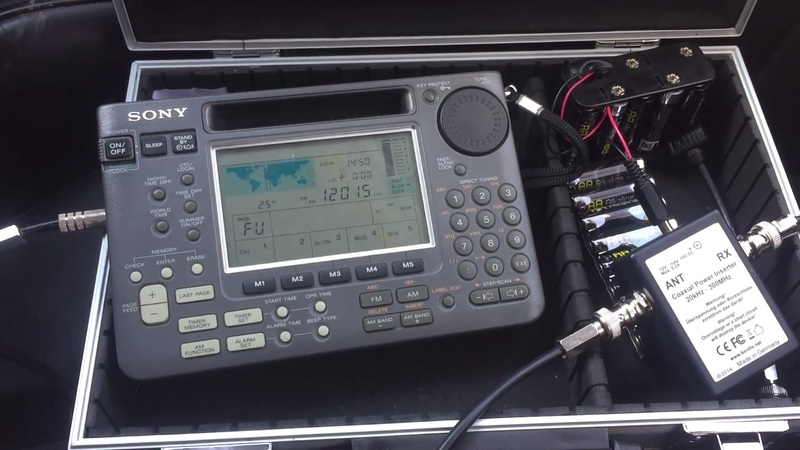 More recently I’ve been intrigued by UK Oxford Shortwave Log’s (YouTube) excellent videos demonstrating the DXing prowess of the very compact, highly portable Bonito Boni Whip antenna. Through a Bonito USA dealer I was able to purchase the Boni Whip at an attractive $99 USD price (plus $11 shipping). In mid-July, Tipsoo Lake near Mt. 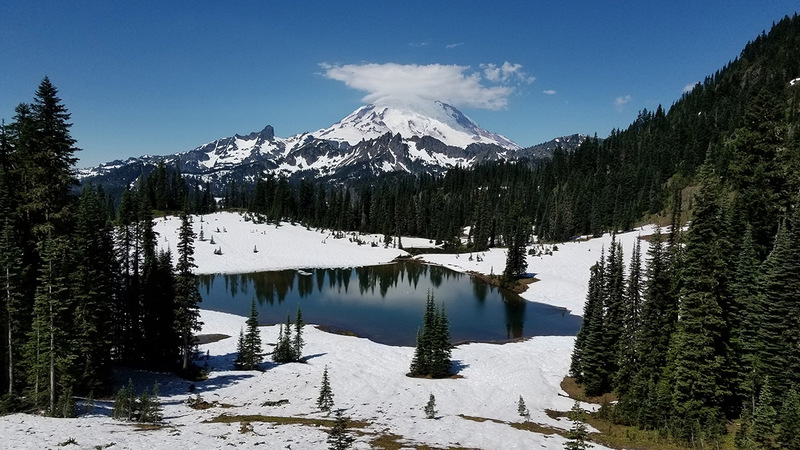 Rainier is still surrounded by snow. 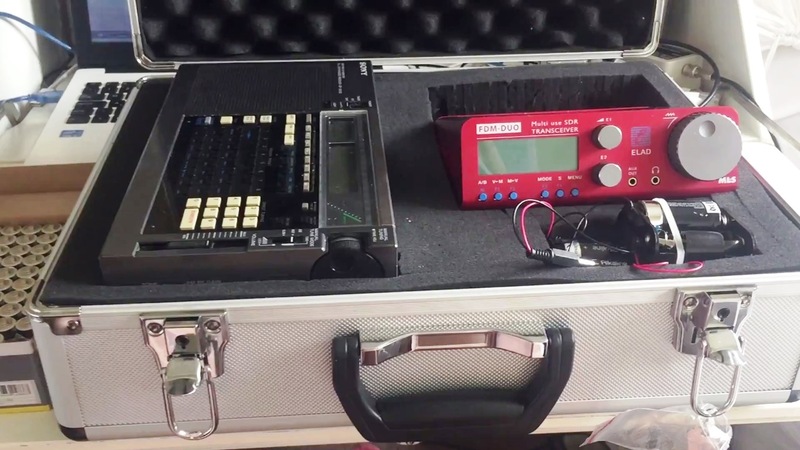 I set up the E1XM and ATS-909X receivers on a portable tote box with the antennas powered by SLA gel cell batteries and using a two-way antenna switch for instant comparisons. Each antenna was mounted on its own “pro” speaker stand and separated 60 feet from each other. The antennas were connected to receivers by equal 100 foot lengths of RG-58 coax cable, and were over 80 feet away from my laptop computer (the only noise source in the area). 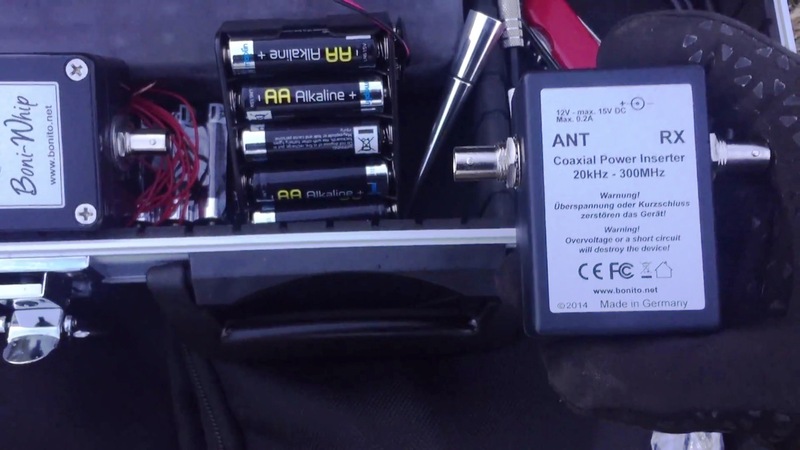 In keeping with the uber-portable theme of the Bonito antenna, I used a very compact 1.2Ah SLA gel cell battery for its power injector (junction box). Since the antenna consumes a mere 45 ma. 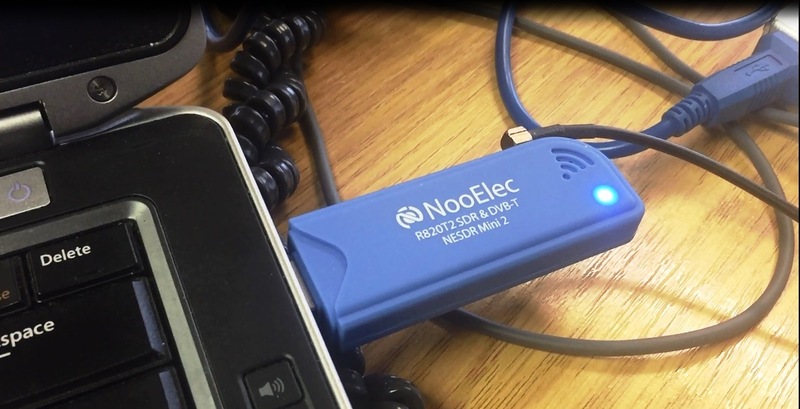 of current, this small rechargeable battery will power the Boni Whip for many, many hours. The Wellbrook ALA1530LNP requires a still reasonable 200 ma., and I brought along a much larger battery to power it. Below are a selection of 30-second medium wave and shortwave recordings, each one of them beginning with the Boni Whip and switching to the ALA1530LNP midway through the recording. These 30-second videos are from the Elad SDR’s FDM-SW2 software. As above, the first half of each recording is the Bonito antenna followed by the Wellbrook loop. If you maximize the playback of a video to full screen you can read the signal-to-noise ratio (SNR) change (“Delta”) as the antenna is switched to the ALA1530LNP. 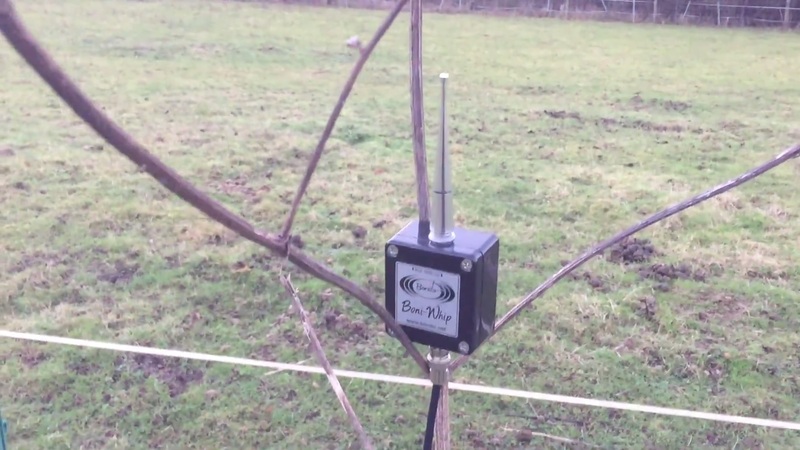 The compact Boni Whip is a unique commercial design of “mini whip” antenna, pioneered by Roelof Bakker, PA0RDT some years ago. As with all these compact e-field antennas they can be a significant “noise sponge”, collecting any RFI or interference in the area. This is especially true if the coax shield is not grounded. Despite using two Bryant/Bowers design of RF chokes in series, the Boni Whip’s reception was degraded by RFI emitted from my laptop over 80 feet from the antennas. The RFI was quite a bit worse without any RF chokes in-line. You’ll note though that even the Wellbrook loop received some interference from the laptop on the higher shortwave frequencies. 11725 kHz, R. New Zealand Intl. Observations. On medium wave (E1XM examples) the directionality of the Wellbrook loop could be noted on one, maybe two of the three recordings. This can be a benefit–or not–depending on your goal. (I did not rotate the Wellbrook loop to null or peak any specific MW signals.) 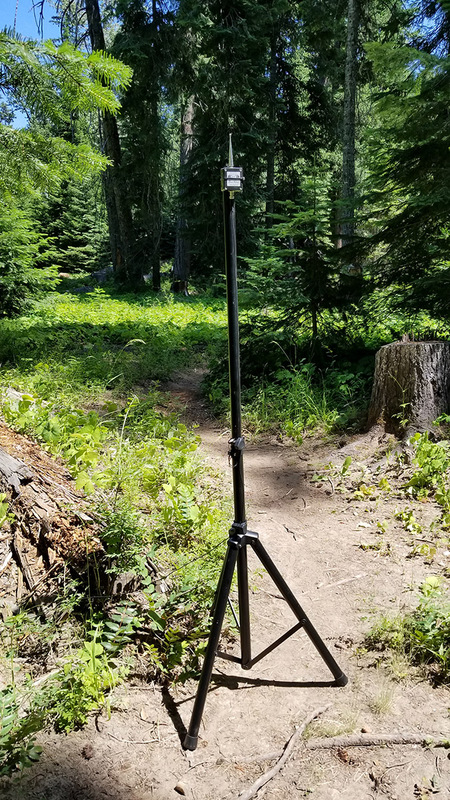 The omni-directional Boni Whip would not be the antenna of choice for a hard-core medium wave DXer; however, it is extremely compact and lightweight for camping and travel if you will be DXing or SWLing on shortwave also. The Wellbrook though is highly regarded as a medium wave DX antenna, especially when used with a rotor to take advantage of its sharp broadside nulls. I didn’t test the Boni Whip on long wave, but Oxford Shortwave Log and others report it does very well on LF. I tried the antenna on FM frequencies against the Eton and Sangean’s telescopic whip antennas but in every case the reception was worse on the Boni Whip. As I expected on shortwave, the ALA1530LNP greatly outperformed the Boni Whip on some signals. On others, reception was extremely comparable! The 3330 kHz CHU recording surprised me with the neck-and-neck reception. At this tropical band frequency there may have been some directionality to the signal, and the loop may not have been oriented optimally. The 4960 VOA reception was also very close. I was disappointed, but not surprised at the RFI pickup of the Boni Whip when using my laptop and the Elad SDR receiver. The two RF chokes tamed the spikes and hash a bit, but removal was far from complete. The Wellbrook wasn’t always “clean” in this regard though. Final notes. I think the Boni Whip is an extremely high value in a “jack of all trades” very portable antenna. Like Oxford Shortwave Log and others, I find this active antenna’s noise level to be extremely low, helping its sensitivity reveal weak DX signals in a surprising fashion. 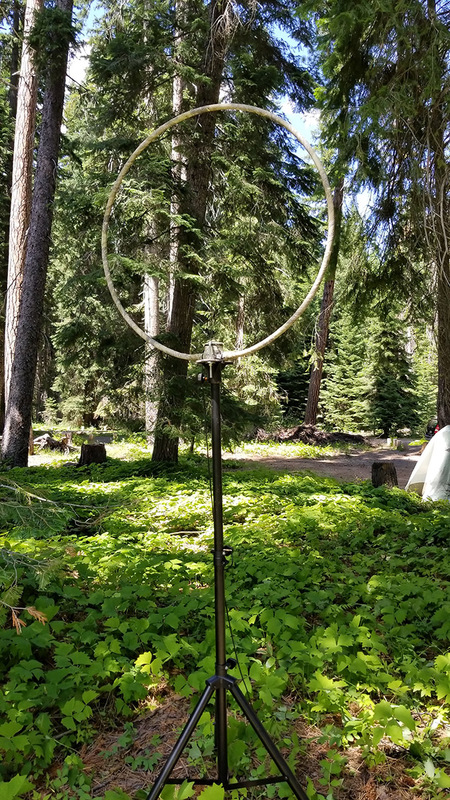 I would not hesitate to use this antenna away from noise sources when traveling with a non-computerized receiver. Well done, Bonito! Is the Wellbrook ALA1530LNP worth four times the Boni Whip’s USA price? To the serious DXer who has no room for large passive antennas (Beverages, phased delta loops, DKAZ, etc. ), the 1-meter diameter Wellbrook is clearly in a class of its own. By the way, the US Dollar to UK Pound ratio has improved in recent months, so the Wellbrook is an improved value for USA radio hobbyists now. Truly this was an “apples to oranges” comparison, but I thoroughly enjoyed using both models. I welcome your comments, particularly if you also own both of these fine antennas. 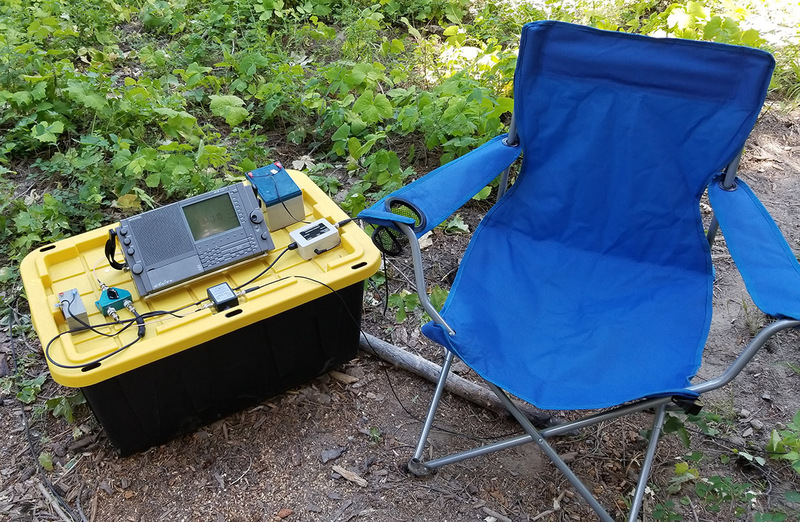 This entry was posted in Antennas, Portable Radio, Uncategorized and tagged ala1530LN Pro, ala1530LNP, antenna, Boni whip, Bonito, Camping, DXpedition, loop, mini whip, Wellbrook on July 13, 2017 by Guy Atkins.